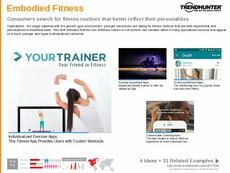 Find Better Ideas, Faster ® with a custom fitness community trend report, our PRO Dashboard and 80+ categories of premium trend reports. 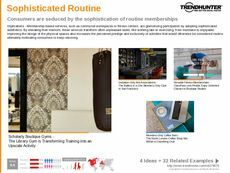 The Fitness Community Trend Report investigates the rising number of fitness clubs and groups built to cater to like-minded individuals. Once a personal endeavor, fitness and working out has now become a team-oriented project with participants relying on peers for motivation and encouragement. This report will look at the influx of fitness groups that have emerged, and how brands like Nike and CrossFit have harnessed a sense of community among health-focused individuals. 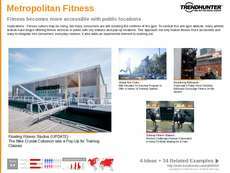 This report is geared towards fitness professionals, personal trainers and fitness center executives. Also, marketers, advertisers and brand managers can utilize this report to find examples and templates that show how the growth of branded fitness communities can have a tremendous impact on brand identity and consumer loyalty. 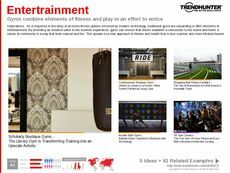 The Fitness Community Trend Report is a comprehensive collection of the latest trends in this field. Utilize our research to map out a future project, and stay up-to-date with the latest innovations.